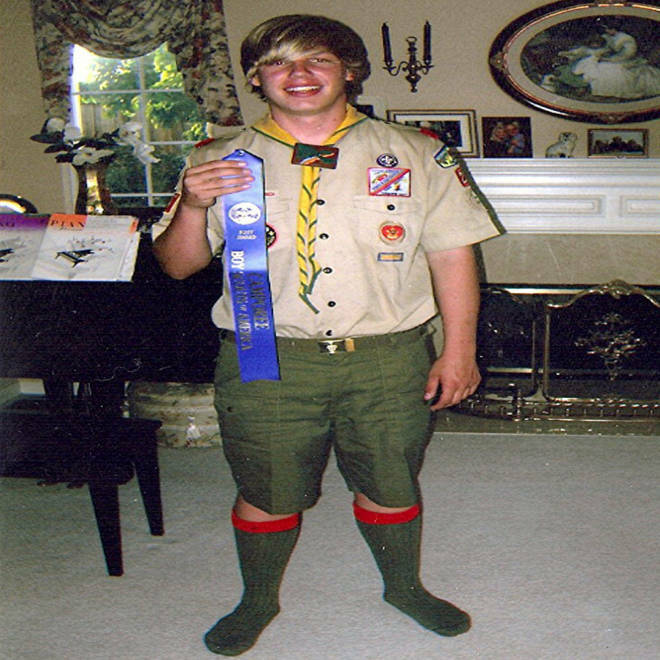 Ryan Andresen had completed the requirements to earn his Eagle Scout award, but his mother, Karen, said his Scoutmaster said he wouldn't get it because he recently came out as gay. The Boy Scouts of America said later Thursday that Andresen was no longer eligible for membership in Scouting because of his sexual orientation and since he does not agree to the BSA's principle of "Duty to God." Updated at 3:00 p.m. ET on Friday -- Ryan Andresen had recently completed the requirements to earning his Eagle Scout award, including his final project of building a "tolerance wall" for victims of bullying like himself, but his Scoutmaster would not sign off on honoring him with the Boy Scouts’ highest ranking because he is gay, his mother said. And late Thursday, the Boy Scouts of America said in a statement that because of Andresen's sexual orientation and that he did not agree to Scouting’s principle of "Duty to God," “he is no longer eligible for membership in Scouting.” But the family on Friday disputed that, saying the only reason Andresen was denied the rank is "because the Boy Scouts of America has a problem with Ryan being gay." The Boy Scouts of America have a longstanding policy denying membership to gay leaders and Scouts, which they reaffirmed earlier this year after a two-year confidential review of the controversial ban. The Scoutmaster for Troop 212 in Moraga, Calif., told Andresen’s father, Eric, the troop's chief administrator, on Sunday that Ryan wouldn’t be able to get the award, his mother, Karen, and Eric Andresen, 52, told NBC News. Ryan, 17, came out in July. Andresen said the Scoutmaster knew about Ryan's sexual orientation and they had no idea he wouldn't sign off on the paperwork. It was “a total shock," she said, adding that Ryan was led all along to believe he would be able to get the award. The Scoutmaster did not immediately respond to a phone call and email seeking comment. The family responded Friday to the Boy Scouts' assertion in a statement:"The Boy Scouts of America's statement that Ryan does not agree to Scouting's principle of 'Duty to God' is inaccurate. Ryan has never said that he does not believe in a higher power, and the only reason he's being denied the rank of Eagle is because the Boy Scouts of America has a problem with Ryan being gay." Karen, who had started an online petition calling for her son to receive his award, said some other troop leaders had supported Ryan's bid for the Eagle Scout ranking. To earn the Eagle rank, which is in its 100th year, Scouts must progress through five lower ranks, earn 21 merit badges and serve six months in a leadership position, among completing other tasks. More than two million young men have earned the rank. 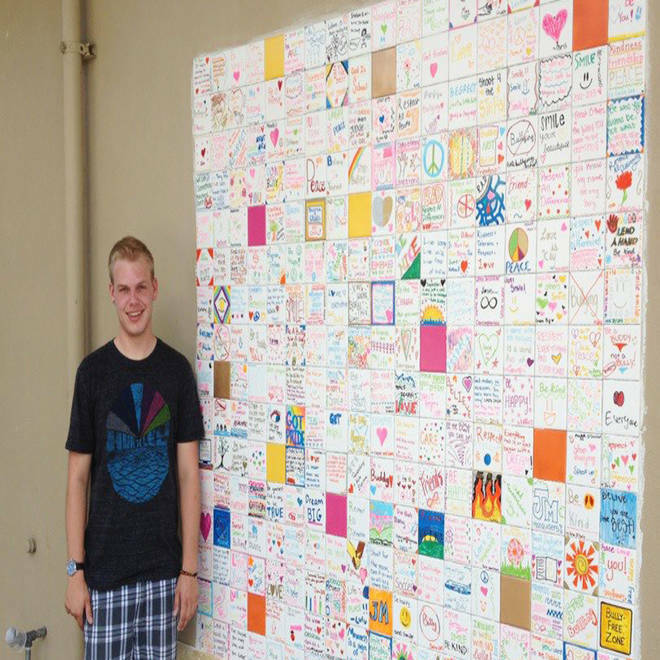 Ryan Andresen stands in front of a "Tolerance Wall," his final Boy Scouts' project that he worked on with school children. It consists of 288 tiles that depict acts of kindness. Dozens of Eagle Scouts said in online postings after the Boy Scouts, a private organization, reaffirmed its policy banning gays that they had returned their medals, badges or membership cards in protest. But many other Eagle Scouts said they agreed with the policy. At the time, BSA spokesman Deron Smith said there were no plans to revisit the membership guidelines. Activist groups stepped up their campaign to end the policy after Jennifer Tyrrell, den leader of her son’s Tiger Cub pack in Bridgeport, Ohio, was removed from her post in April because she is a lesbian. A number of troops have said they don’t follow the policy, and some companies and charities have recently said they would not contribute to the Boy Scouts because of the ban. Technology giant Intel Corporation recently told NBC News that since Jan. 1 it has required troops and councils to sign a document verifying that they comply with their non-discrimination policy in order to receive donations. The United Way of Greater Cleveland, which last year gave nearly $100,000 to the Boy Scouts of America, Greater Cleveland Council, recently said under its new diversity policy that the local chapter would no longer qualify to receive such funding. If you are a current or former member of the Boy Scouts and would like to share your thoughts on the membership policy, you can email the reporter at miranda.leitsinger@msnbc.com.